I’ve been really enjoying cooking my lentil bolognese this week, bolognese sauce in general reminds me of home and has become a much needed comfort food for me recently. 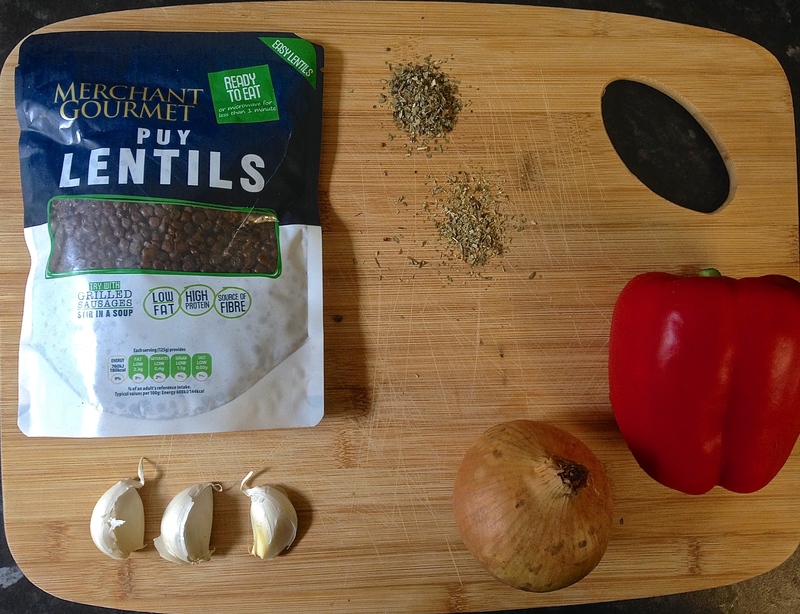 Lentils also have a really meaty texture and take on plenty of flavour when cooked, making them the perfect candidate for a bolognese in place of the traditional minced meat. This dish is perfect with pasta and can be cooked with pretty standard store cupboard ingredients so I’m certain it will become one of my regular meals. This bolognese is also perfect to make in bulk if you’re a student,, it’s cheaper than regular meaty bolognese, can be easily frozen and is just as satisfying. 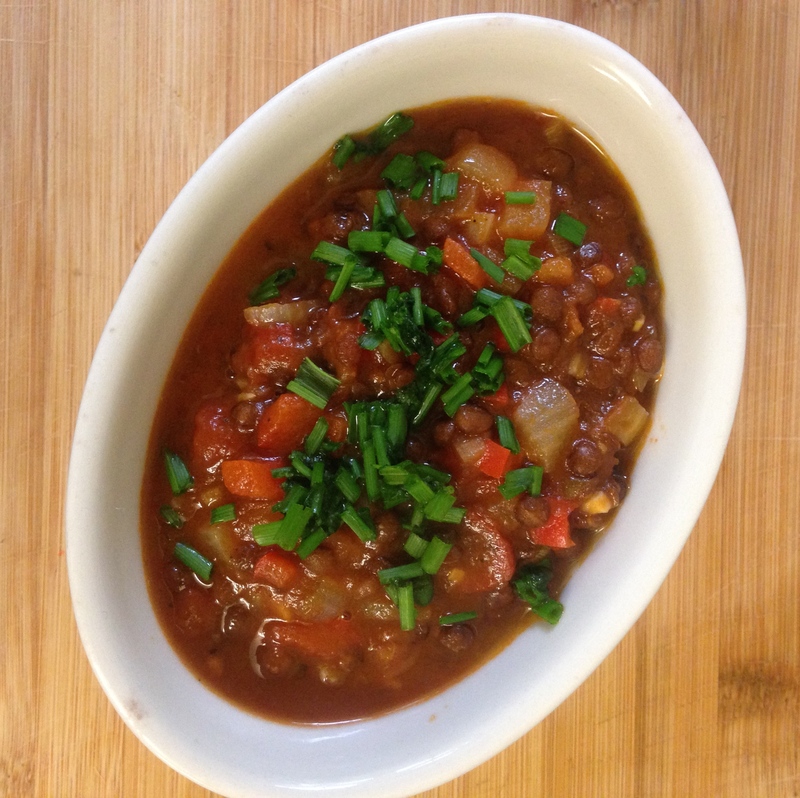 You could even use this recipe as a base for more tomato/beef based dishes such as a chilli con carne by changing up your herbs and spices. Please let me know if you enjoy cooking this recipe, I’d love to hear your thoughts. Heat 1 tablespoon of the oil in a large saucepan until very hot, then add the onion and red pepper. Fry for 5 minutes until the onion is translucent and the pepper softened. Add the garlic and fry for a few more minutes before adding the lentils, tomato puree and the remaining oil. Stir all the ingredients together until combined, then add the tin of tomatoes. Half fill the can with water and swill around the can to catch any left over tomato bits and add to the pan. Add the herbs and salt and pepper and simmer for around 30 minutes or until the sauce has thickened. Season to taste and serve on top of creamy mash, pasta or even on toast.